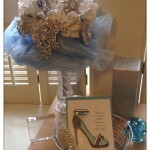 Add instant sparkle to your “to do list” with an easy to make sparkle clipboard with embellished and shiny goodies. 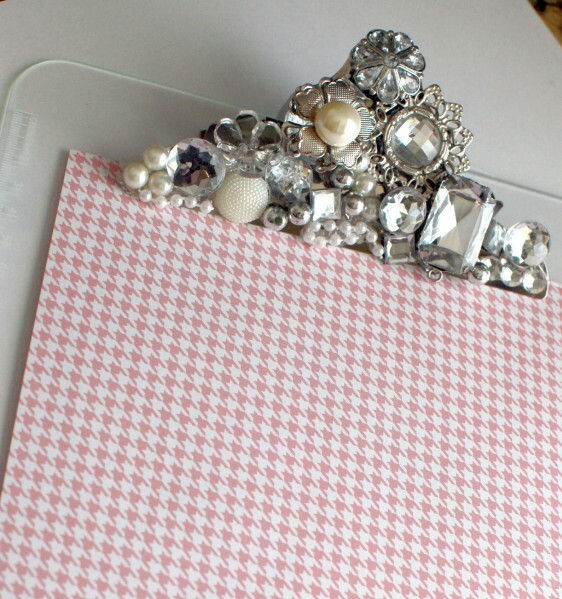 You can use just about anything to embellish a clipboard this way and so if rhinestones and pearls aren’t your thing, just substitute other objects and make a completely unique clipboard just for you. 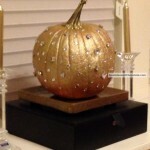 Just like my Halloween Pumpkin Project, if you don’t want to use glue try stick-on rhinestones that can be found at Michael’s or the Dollar Store. I also like the idea of having different designs of craft or scrap booking paper glued to the clipboards. 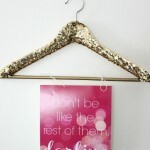 Now the sparkle clipboards are inexpensive art pieces. Courtesy of Theresa Collins.